This past Sunday evening, I got to see my favorite country acapella band, Home Free, in concert for the first time ever. I left that show feeling on top of the world after getting to hear all my favorite music from the group live. Then, at 3 am, I got woken up by mom saying there was a mass shooting at a country music festival, and my heart immediately sank. Out of all the mass shootings, we seem to be hearing about on almost a weekly basis, this is the first one that really hit me hard. That may seem like an awful thing to say, but as I was at a concert that same night, though, with a significantly smaller crowd, I could not help but think how it could have just as easily been there where a gunman opened fire. The Monday following, instead of living in a happy afterglow of seeing this concert, I was left feeling depressed and confused. I was wondering what this world could possibly be coming to if what should have been a fun event like a concert is not really safe anymore. The attacks made by certain people against country music artists and their fans have also left me deeply hurt and bewildered. 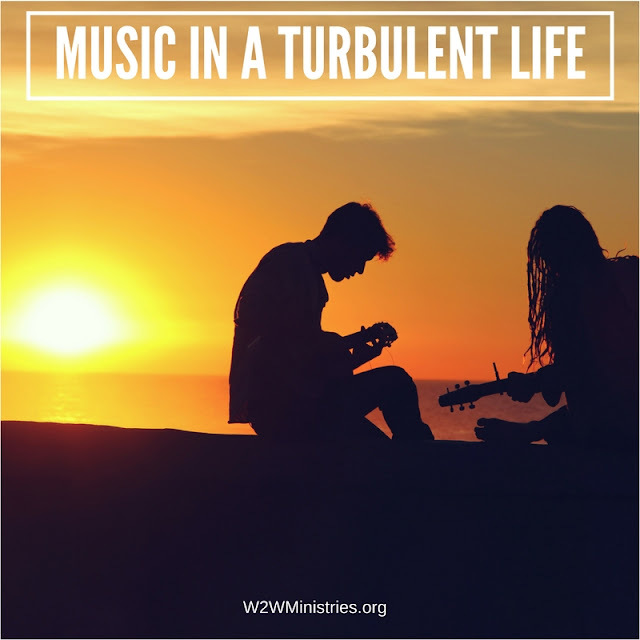 Part of this is because next to my relationship with the Lord, music, especially country music, in particular, has been in some ways a soothing balm for my should that can get too overwrought with depression and anxiety on a day-to-day basis at times. I have even questioned my safety at the large shopping center where I work at as a cashier. Yet, despite all of these questions, through all my prayers this week, I have come to the conclusion that even though our safety is never guaranteed at ANY kind of event anymore, I am not going to live in fear. I can guarantee you that I will be one of the first people in line to buy tickets when Home Free comes back to my city. Most importantly, God does not want us to live in fear either. He intended for us to enjoy this life, not to live in fear and cower in our homes for our entire lives. So I concluded there is nothing better than to be happy and enjoy ourselves as long as we can. 13 And people should eat and drink and enjoy the fruits of their labor, for these are gifts from God. In addition, the Bible clearly states that we are going to have hardships in this world. Yet, Jesus has already WON when he ROSE FROM THE GRAVE! I encourage you to take these scriptures to heart if you have been like me in questioning things this week. If you also happen to be a music fan like I am, don't stop attending concerts. Be vigilant of your surroundings when you go, but please remember to keep enjoying the music. Please keep praying for the victims and their families in these coming weeks as they try to sort out and cope with what happened to themselves or their loved ones. Finally, always remember to enjoy the music God has given us to enjoy despite all the evil, hardships, and trials we endure in this world.